Stainless steel excelling in corrosion resistance and Mechanical strength is the most suitable material for bolt, Nut, tapping screw, machine screw and wood screw etc.In order to eliminate troubles particularly in cold heading process to obtain good-shaped thread, it is essential to select material of best quality and perform the process under the most adequate condition. 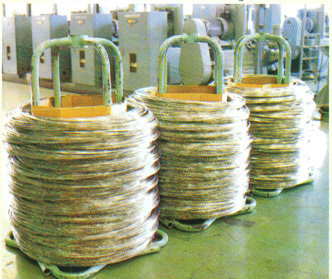 Our cold heading wires are manufactured in particular consideration of chemical composition, headability, uniformity and surface finish. By adjusting chemical compositions, i.e. contents of carbon, copper, nickel, etc., our company has successfully developed new grades of stainless steel, which feature improved headability without deteriorating corrosion resistance. 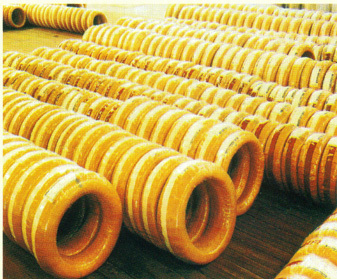 Select the most suitable grades, in consideration of head shaped and applications for economy and easier production. Dia. 2.0 mm and over to 5.2 mm. Incl. 0.80 – 3.00 Incl. Excl. 3.00 – 5.20 Incl. Excl. 1.9 – 5.2 Incl.